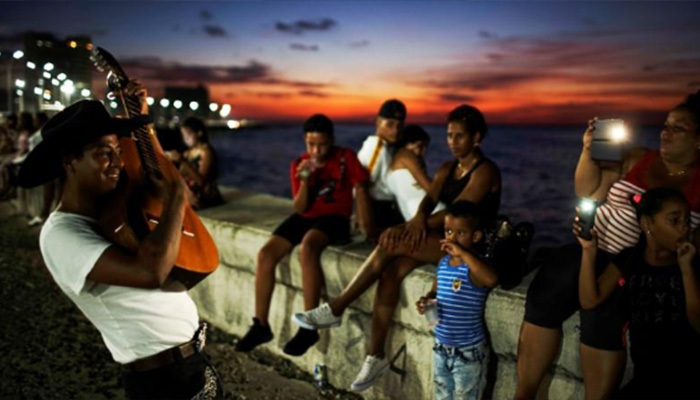 HAVANA: Communist-run Cuba has started providing internet on the mobile phones of select users as it aims to roll out the service nationwide by year-end, in a further step toward opening one of the Western Hemisphere’s least connected countries. Journalists at state-run news outlets were among the first this year to get mobile internet, provided by Cuba’s telecoms monopoly, as part of a wider campaign for greater internet access that new President Miguel Diaz-Canel has said should boost the economy and help Cubans defend their revolution. Analysts said broader web access will also ultimately weaken the government’s control of what information reaches people in the one-party island state that has a monopoly on the media. Cuba frowns on public dissent and blocks access to dissident websites. Certain customers, including companies and embassies, have also been able to buy mobile data plans since December, according to the website of Cuban telecoms monopoly ETECSA, which has not broadly publicized the move. 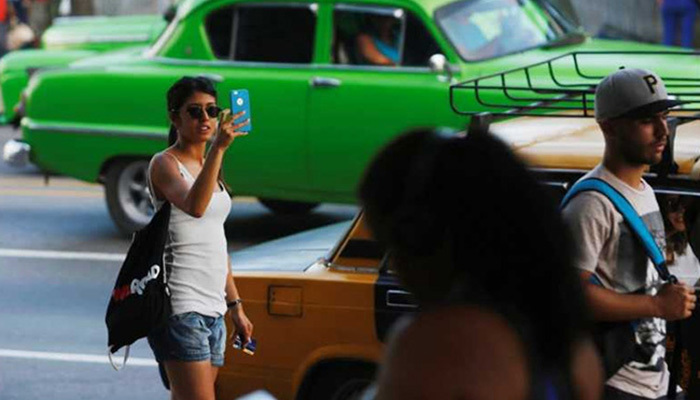 ETECSA has said it will expand mobile internet to all its 5 million mobile phone customers, nearly half of Cuba’s population, by the end of this year. ETECSA did not reply to a request for more details for this story. Whether because of a lack of cash, a long-running U.S. trade embargo or concerns about the flow of information, Cuba has lagged behind in web access. Until 2013, internet was largely only available to the public at tourist hotels in Cuba. But the government has since then made increasing connectivity a priority, introducing cybercafes and outdoor Wi-Fi hotspots and slowly starting to hook up homes to the web. Long before he took office from Raul Castro in April, 58-year-old Diaz-Canel championed the cause. Cuba could use subsidies to encourage the use of government-sponsored applications, analysts said. Last month, ETECSA launched a free Cuba-only messaging application, Todus, while Cuba’s own intranet with a handful of government-approved sites and email is much cheaper to access than the wider internet. In a 2015 document about its internet strategy that leaked, the Cuban government said it aimed to connect at least half of homes by 2020 and 60 per cent of phones. But many Cubans are skeptical. ETECSA President Mayra Arevich told state-run media in December it had connected just 11,000 homes last year. Most mobile phone owners have smartphones, although Cuba is only now installing 3G technology, even as most of Latin America has moved onto 4G, with 5G in its final testing phase. “This rollout will expand slowly at first and then more quickly, if the government is increasingly confident that it can control any political fallout,” said Cuba expert Ted Henken at Baruch College in the United States. The price could prove the biggest restriction for many, though. Hotspots currently charge $1 an hour, compared with an average state monthly wage of $30. It was not clear what most Cubans will pay for mobile internet, but ETECSA is charging companies and embassies $45 a month for four gigabytes.